For more information, please contact listing agents Heath Gran 605-209-2052 or Scot Munro 605-641-6482 with Great Peaks Realty. Beautiful 2 bedroom home with historic Deadwood charm! Main level features the kitchen, dining room and living room space with both bedrooms nestled on the 2nd floor with views overlooking downtown and beyond! Charming covered front porch with a designated parking spot below. 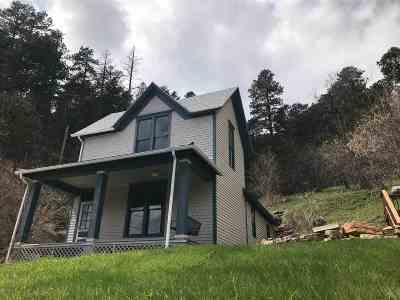 Ideal location close to downtown Deadwood! Property has a designated parking spot, new roof and new furnace!